What is this whole Personal Finance thing about? There are certain things in life you don’t learn at school, your parents might not necessarily teach you and your friends just don’t know enough to talk to you about it. Money management is one of them and for me, the biggest of them. If you were fortunate enough to grow up in a comfortable or wealthy home then you may even be more shocked when you start to make your own money. You’re not sure where to put it, how to manage it or when to grow it. You are probably only sure of one thing – spending it. Over the last two years or so, I’ve realised there’s so much more to money than just spending, and through reading a lot of books, attending seminars and courses, I’ve picked up one or two things I think more people my age need to hear. But before we even get that far, a proper introduction. Hi, my name is Bukola Smart, most people call me Bukiie. I am currently working in a professional services firm where I’m training to become a qualified accountant with an ACA qualification. Before that, I finished university with a first class honours in Accounting and Finance in 2016 and have worked in two start ups and had my own brief entertainment business all while at uni. I took a keen interest in personal finance when I almost went broke sometime in 2014/15. One of my philosophies is ‘do more because you know more’ so I began reading all things to do with money from Robert Kiyosaki’s ‘Rich Dad Poor Dad‘, to Napoleon Hill’s ‘Think and Grow Rich’ to George Clason’s ‘The Richest Man in Babylon’ and more recently, Arese Ugwu’s ‘The Smart Money Woman.’ That and so many other books have helped me along this journey to financial freedom we all seek. But as we know, life is more than just ‘seeking’ things so taking on a more practical approach, I started to paint the picture I wanted to see in my life. I put all I read into practice and slowly but surely, things started turning around. So much I’ve learnt has come from my own experiences which I’d like to share but more than that, I’ll like to help more millenials get to their goals and dreams and the little way I know how to do that is through personal finance. Money is a universal language that we all need to learn to speak, and as I’m learning everyday my own way of paying it forward is sharing it all. So here’s to all the cool kids who want to get their finances right before we all hit 30, 40 or even 50. May we know more so we can do more, and may all our dreams come true. 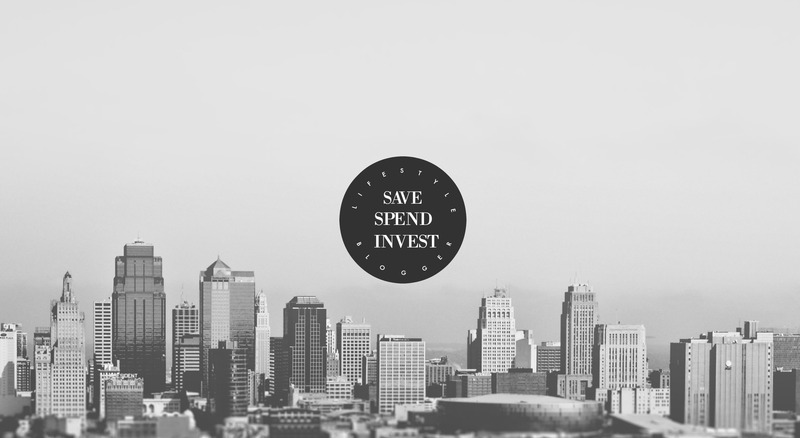 Please feel free to get in touch if you have any questions by sending an email to bsmart@savespendinvest.co.uk.